Thoughts and reflections about life in and around Brevard, North Carolina. We’ve been working with some out of state buyers for a good long while now. And even though they are stil in the process of putting the pieces together so they can move here, we’ve become fast friends. When they come to town, we look at homes, but the real fun begins when we get together for dinner. They’re just good folks. They are also dog lovers, like us. Maybe that’s one of the reasons we get along so well. 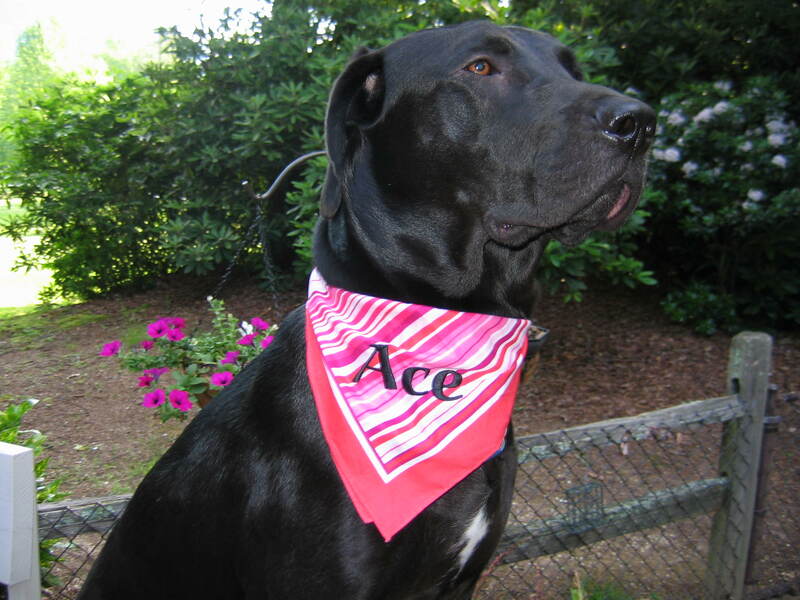 The other day, we picked up a package at the office that these folks had sent us, and in it was a scarf for our dog! They even went so far as to have his name embroidered on it. Sometimes you meet people, you sell them a home and then you never see them again. But with these folks, I know that once they do get around to moving here, not only will we sell them a home, it will mean we will get to spend a lot more time with them…and enjoying their company. Plus, they’d get to see their “adopted son” Ace more often! Sometimes, clients do the nicest things! A bazillion years ago when I was working in retail we were taught that if you have a customer standing in front of you and the phone rings, your obligation is to take care of the customer in front of you first. If you absolutely have to answer the phone, you take their number and ask to call them back, then return as quickly as possible to the customer standing at the counter. That small lesson has stayed with me all these years and it still irks me when I’m in a store and I’m “bumped” while a clerk answers a phone call and proceeds to provide the caller with “excellent service” while I wait…even though I was there first. For me, the same theory applies to phone calls. Call waiting and Caller ID are great, but some people abuse the idea. If I’m on the phone with someone, and the important call they’ve been waiting for all day comes in…..no problem. Go take that call and get back to me when you can. But when I hear the words “hang on…I have another call coming in” that sends a clear signal that I’m no longer important and whatever it is we’re talking about isn’t important. It’s even worse if I’m standing face to face with someone and in the middle of a conversation and they put me on “hold” while they answer their phone. I have no choice but to stand there awkwardly while they carry on another conversation. Again..if it’s important and something that requires immediate attention. No problem. A simple “Excuse me, but I really have to deal with this….I won’t be long” will suffice. There is no law that requires we answer a phone just because it’s ringing. That’s why we have voice mail. If my phone rings and I choose not to answer, it’s because I’m on the other line, or talking to someone else in person, and giving that person my undivided attention. It is rare that a caller doesn’t leave a message if I don’t answer…and if they don’t leave a message, then I guess it wasn’t very important anyway. Besides, my phone saves the number and I often will call back to acknowledge the missed call just in case I did miss something important. If you ever call me (828-551-6290) and I don’t answer, it’s because I’m being courteous and attentive to someone else at that moment, but I will be happy to return your call promptly. And when I do, you can trust that I am giving YOU my undivided attention. Are You the Sharpest Saw in the Drawer? We have a good friend who is now retired from a long and immensely successful career in sales. His experience began in the 1950’s selling televisions. From there he went on to own an art gallery, he built homes, he even owned a wig store for a period of time. He eventually retired as the President of national company that took multi-million dollars businesses to market. He is full of wisdom and good advice and one of his favorite expressions is “Now and then, you have to take time to sharpen your saw.” (It’s actually the 7th Habit in Steven Covey’s book The Seven Habits of Highly Effective People). Covey’s belief is that we have to find balance in our lives through renewal, through social connections, exercise, meditaion, and learning. For me, it’s about taking time to do the things we have to do to make sure we’re always on top of our game; making sure we don’t become dull from the day to day wear and tear of running our business and our lives. In the real estate business, keeping your saw sharp can mean any number of things and they’re all important if you want to be successful in the long run. It certainly means taking training classes, whether they are online or in the classroom. When I have down time, I’ll log onto the Keller Williams site and go to the Keller Williams University for training videos on any number of subjects. I also have Inman News delivered to my email box every morning for a quick info fix with my coffee. Our website is probably the biggest tool we own and keeping it sharp requires regular maintenance. We’re constantly tweaking the listings, checking for dead links, and adding new content. In the winter, when business slows down, we use that time to do heavy maintenance on the site like swapping out pictures, creating new links, rebuilding pages, etc. This past season, we stayed busy all through the winter so as a result of the extra bit of business we decided to dedicate some of the proceeds to a whole new web site. Of course, building a new website is a post for another day! Blogging has become another major tool that should be in everyone’s tool box and you need to keep up with that. But do you take time to read other blogs…looking for new things you can learn? A couple of years ago when I discovered Active Rain I spent a lot of time reading posts about a variety of subjects, including SEO and Blogging, staging before and afters, and others. There was a wealth of information that I used to improve our business and I can truthfully say that the things I learned just by poking around on Active Rain changed our business – for the better! But as Covey points out, it’s not just about work and learning. It’s also about connections. When we’re caught up in our day to day lives it’s easy to lose track of the outside world…especially when our world is focused on trying to make a living. Sometimes I look up to discover it’s Friday already and I’ve spent most of the week putting out fires, tending to day to day responsibilites, and taking care of clients needs, though not necessarily in that order. And even though I’ve never really been good at “time blocking” I look for time when I can step out and find ways to sharpen up the edges a bit. It might mean watching a training video or researching something I need to know more about. But it might also mean making time to sit and read a new book that has nothing to do with business. Or it might mean clearing my head by taking the dog for a long walk. 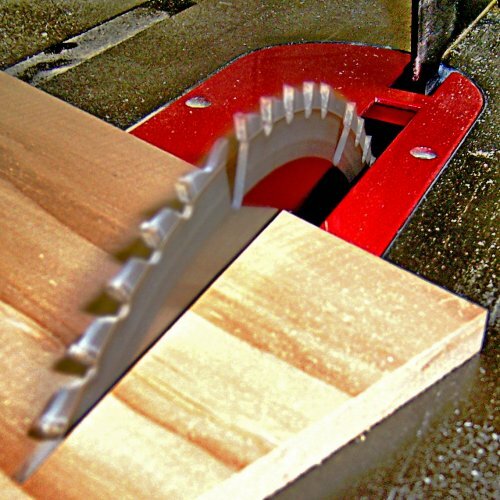 The truth is, it can be hard to carve out time to keep your saws sharp. But if you do, I’m convinced you’ll have honed your skills and gained the knowledge to cut a clear path to success. Looking for things to do in Brevard,NC? like Scott Joplin. But of course, the event is filled with outstanding classical performance by students and faculty who come to the music institute from around the world. From opening night to the final performance, this is a world-class event that you don’t want to miss. It all takes place at the Brevard Music center near the heart of downtown Brevard. The open air performance hall is a relaxed environment but also acoustically outstanding. This year’s performance schedule includes Chamber music, Rachmaninoff Symphony No. 2, The Complete Beethoven Violin Sonatas, Part I and II, Die Fledermaus, and host of other events including student recital, pre concert lectures, and more. For ticket information, visit the Music Center online. Performances start June 25 and continue till August 8. For more information about Brevard, NC, contact the Clay Team online today. Or call us at 828-551-6290 or 828-551-6291. If you’re looking for a home with a great mountain setting, in the cooler higher elevation of the Lake Toxaway, NC area, you’ll find it here at 207 Little Elbow Mountain Rd. This newer home is being sold with either 1 acre or 7 acres which could be subdivided at a later date. Located in a quiet mountain setting, this home is finished on the upper level with two bedrooms, two full and one half bath, kitchen, living room with a soaring stone fireplace, and a loft area that could double as an office, play area, or additional sleeping space for visitors. The lower level is partially finished and ready for future possibilities. 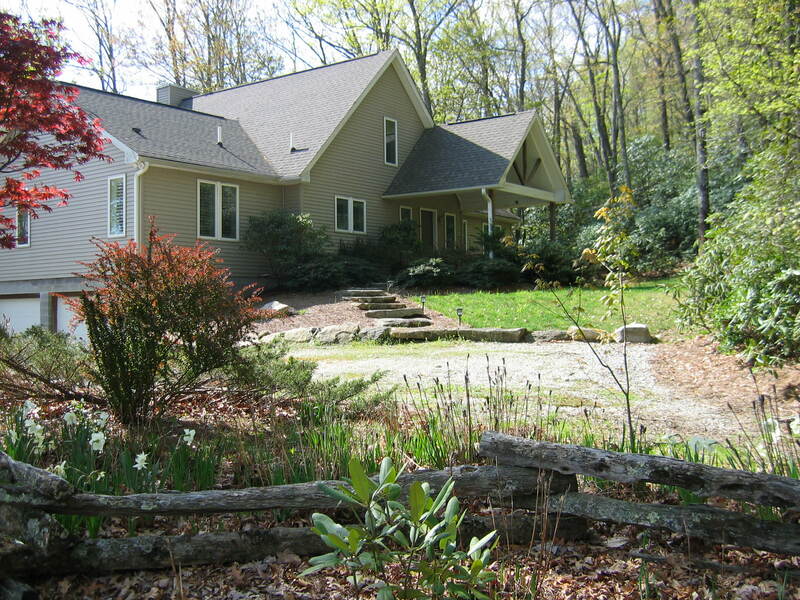 One of our favorite places is the large back deck that over looks the wooded yard. It’s a bird watcher’s dream! There’s plenty of room for a garden and lots of good walk around land to enjoy. This is would make a great vacation home, but also a year round residence. It’s located west of down Brevard, approximately 20 minutes. And about 20 minutes east of Cashiers. For more information about this home for sale in the Lake Toxaway area, visit the Clay Team online today….or call us at 828-551-6290 or 828-551-6291. A perfect day in the mountains…for me. Vanished. Lost without a trace. Search for homes and land for sale in Western North Carolina!